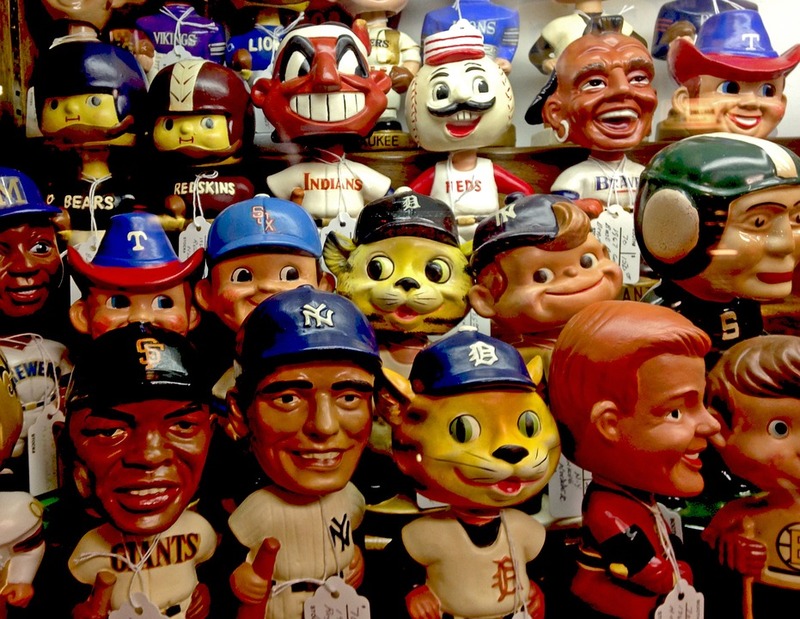 COLUMBUS, Ohio (CN) – Major League Baseball’s Cincinnati Reds asked the Ohio Supreme Court on Wednesday to reverse a finding that sports teams must pay sales taxes on collectible bobblehead toys and other giveaways to fans on game days. The Reds argue that the giveaways are tax exempt. Although the team pitches them to fans as free items, it says it builds the cost into ticket prices over the season. Under Ohio law, companies do not have to pay tax on items they purchase to resell. The Reds argue that its resold items included bobbleheads, jerseys, T-shirts, wall posters and baseball cards. But the Ohio Department of Taxation disagreed. It audited the team for purchases made from 2008 to 2010 and found that fans paid the same price for a ticket regardless of whether a bobblehead was given away at ballpark turnstiles. It determined that the Reds were not reselling the giveaways with tickets and that the franchise was required to pay close to $88,000 in so-called “use” taxes for promotional items purchased and then given away at games, in addition to penalties and interest. The Reds fought the decision at the Ohio Board of Tax Appeals, but it affirmed the tax commissioner’s ruling. At oral arguments on Wednesday morning before the Ohio Supreme Court, the Reds’ attorney Steven Dimengo asked the justices to overturn the tax determination. He argued that the team is exempt from paying taxes on giveaways incorporated into ticket prices to drive sales for home games. Dimengo distinguished between the Reds’ promotions and other items given away at games, noting that he had recently attended a Cleveland Cavaliers championship game where a promotional towel was on his seat. “I had no idea the towel would be provided. It’s just a token item, a general goodwill item,” Dimengo said, adding that it did not boost sales in the way that other giveaways or promotional items do when they are pitched to fans ahead of time. Dimengo said the Reds usually bought around 30,000 bobbleheads for each promotion in anticipation of demand. The bobbleheads are miniature likenesses of Reds players with disproportionately large heads that bounce around with any slight movement. Chief Justice Maureen O’Connor asked Assistant Attorney General Kody Teaford, who represented the state, if there was any other reason to give away bobbleheads other than to boost sales. The Reds argued that although a “consideration,” or a monetary amount, was not specified for promotional items, it was factored into the ticket price. “Isn’t that consideration? They’re benefiting from the fans deciding, ‘I’m going to spend my Saturday afternoon at the ballpark and walk away with a bobblehead,’” O’Connor said. Under state tax laws, Teaford said that the Reds had to show that there was a separately identified charge for a promotional ticket to claim it was reselling the items, citing the example of the Cleveland Indians charging about $5 more for a promotional ticket than a non-promotional ticket. He told the high court panel that the resale tax exemption did not apply to the Reds. “You need something that’s more discreet … Something that you can show that there’s different consideration,” Teaford said. The court took the case under advisement and did not indicate when it will rule. Several other state courts have weighed in on the giveaway tax issue. The Kansas City Royals managed to overturn a decision requiring them to pay state sales and use tax. But other courts ordered the Milwaukee Brewers and Minnesota Twins to pay taxes on their promotional items.